The focus will be on the Torre dei Caduti in the centre of Bergamo’s Città Bassa (lower town) today as the city remembers its war dead. 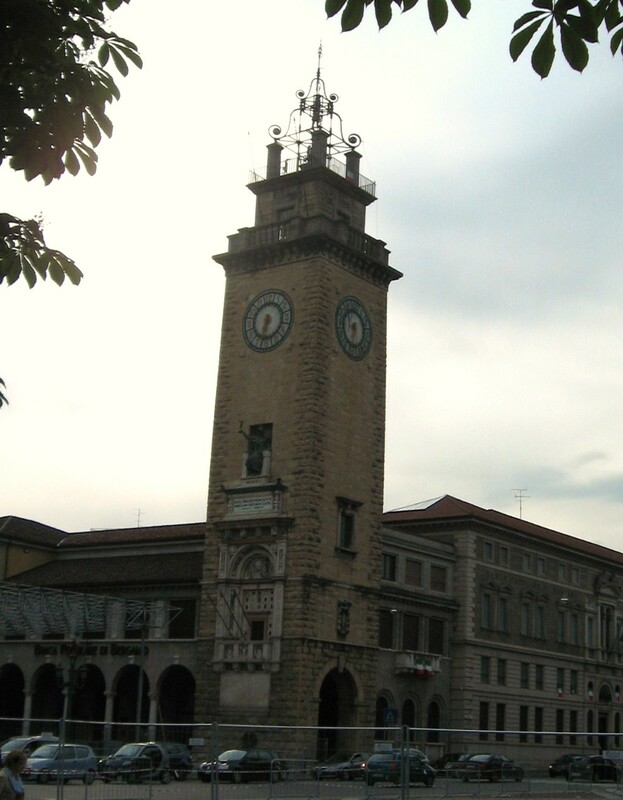 The early 20th century war memorial towers over Piazza Vittorio Veneto and Via Sentierone but has been carefully positioned so that despite standing 45 metres tall it does not spoil the skyline of the Città Alta (upper town). The Torre dei Caduti (tower of the fallen) was built to honour the citizens of Bergamo who were killed in the first world war. It was part of the new layout for the centre of the Città Bassa by architect Marcello Piacentini in the 1920s, who recalled the buildings of the Città Alta, such as the Torre di Gombito, in his choice of design and materials. The Torre dei Caduti was officially inaugurated at a ceremony in 1924.